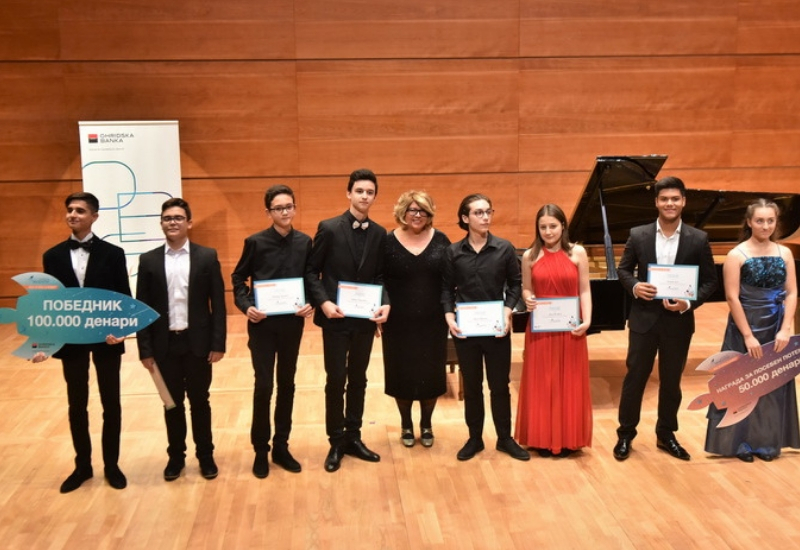 Ohrid bank Société Générale opened a call for applications for scholarships for students with musical talents in June, while 8 finalists performed at a concert last week. At the event, two students were awarded annual scholarships. In Montenegro, the bank has donated a projector and screen to the school Marko Miljanov in Bijelo Polje. The competition entitled “Do you have a wire for music” (“Имаш ли жичка за музика”) received applications from 60 participants, who all play certain instruments. Of them 8 finalists were selected to perform at the concert at the Macedonian Philharmonic. The 16-year-old pianist Ards Mustafaoglu won the competition and recieved an annual scholarship of 1.625 EUR (100.000 MKD). A special award for recognized potential was presented to the 15-year-old violinist Naomi Georgievska, who recieved an annual scholarship of 812 EUR (50.000 MKD). The project was realized as part of the Talent Club of the Ohrid bank Societe Generale. Its aim is to support young talents in different areas, through various competitions. The first one was the competition “Do you have a wire for music”, which was open to musicians aged 14-18. The first one to become a member of the club was Marko Pejcinosvki, a boy who swam the Ohrid Lake, and for this endeavour got a deposit from the bank on his children’s savings account. In Montenegro, the bank presented a projector and screen to the elementary school Marko Miljanov from Bijelo Polje. As technology like this is becoming essential in contemporary education, this kind of donation is very useful for improving and enriching the teaching process. Jasmina Kalić, school principal thanked the bank for this donation and expressed her view that it will make a significant contribution to teaching.